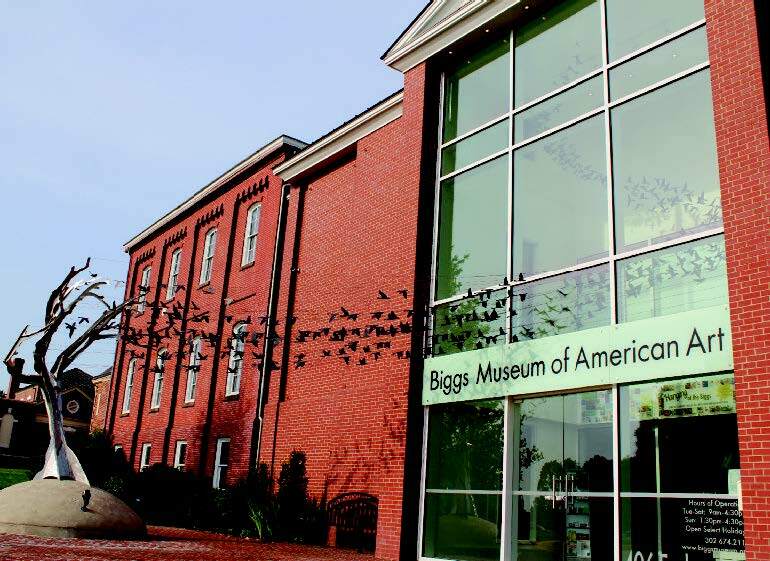 Biggs Museum of American Art, seen with the first permanent sculptural installation, Aloft, by Erica Loustau, professor at West Chester University. Aloft is the capstone of the museum’s 2011−14 renovation. opportunity to reflect on that sustained growth. The Marcia and Henry DeWitt Gallery in 2015, after the museum’s three-year renovation. 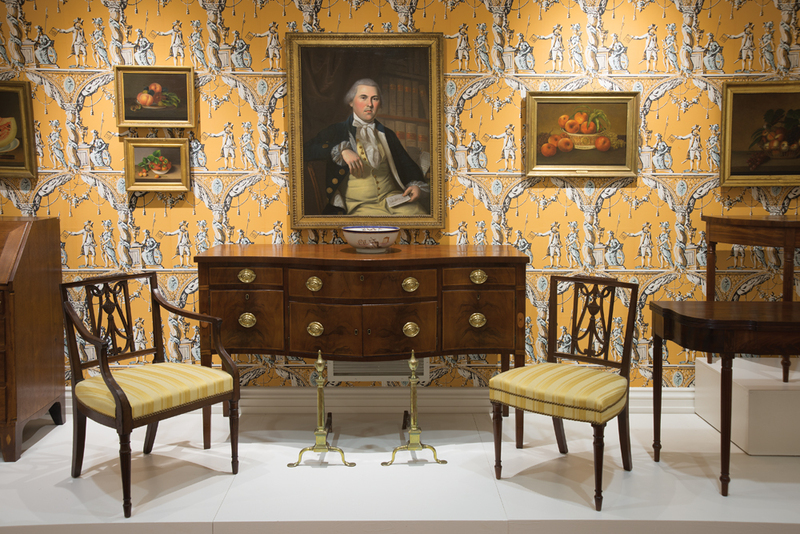 Featured are works by the family of Charles Willson Peale as well as Federal furnishings from Delaware. 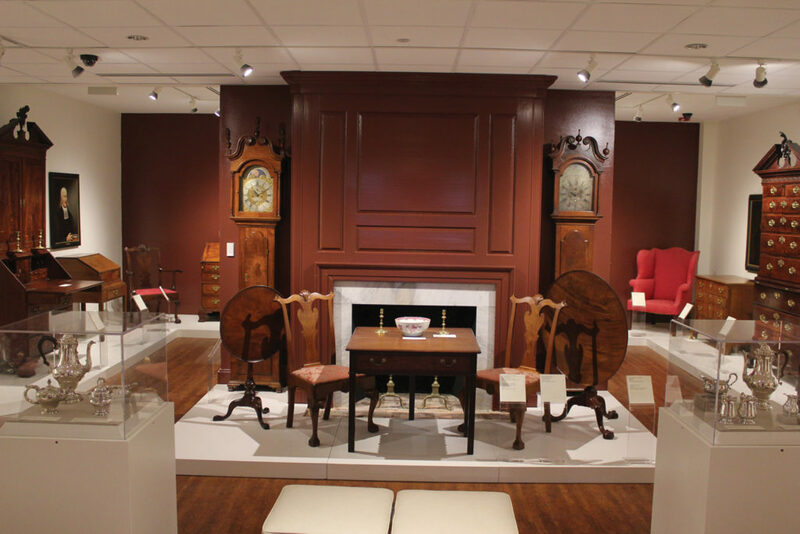 The American Rococo Gallery features exceptional Philadelphia furniture and silver in front of the 1758 Shipley mantel from Wilmington, Delaware. village of Leipsic on the Delaware Bay, only a few miles from the Biggs Museum. 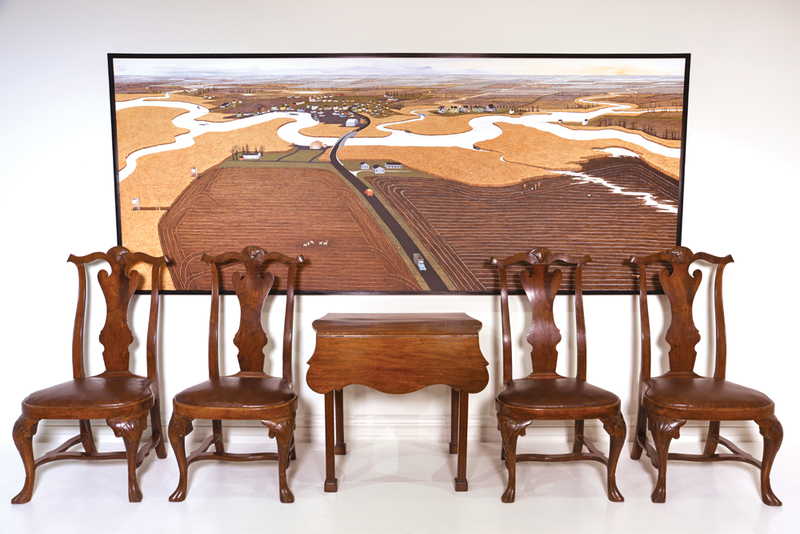 museum with a collection that reflected important early art forms of Delaware. of the nation next to the best from right here. At Twenty-Five: Distinguishing the Biggs Museum of Art is the special loan exhibit at this year’s Delaware Antiques Show, November 10–12, 2017. The original article featured in the Delaware Antiques Show Catalogue was generously sponsored by Stratus Foundation/flyAdvanced. Excerpt from the article submitted for publication in Antiques & Fine Art (Winter 2017). ¹ Two chairs have been gifted, and two are promised gifts of the descendants of Vincent Loockerman. This entry was posted in antiques, art collections, Delaware Antiques Show, exhibition, Uncategorized and tagged #DAS, antiques, biggs museum of art, Delaware Antiques Show, Winterthur Museum Garden & Library. Bookmark the permalink. are the last of the line descended for Goveret. I see that you have a portrait of Vincent. I wonder if you could take a photo and e-mail it back for my records? 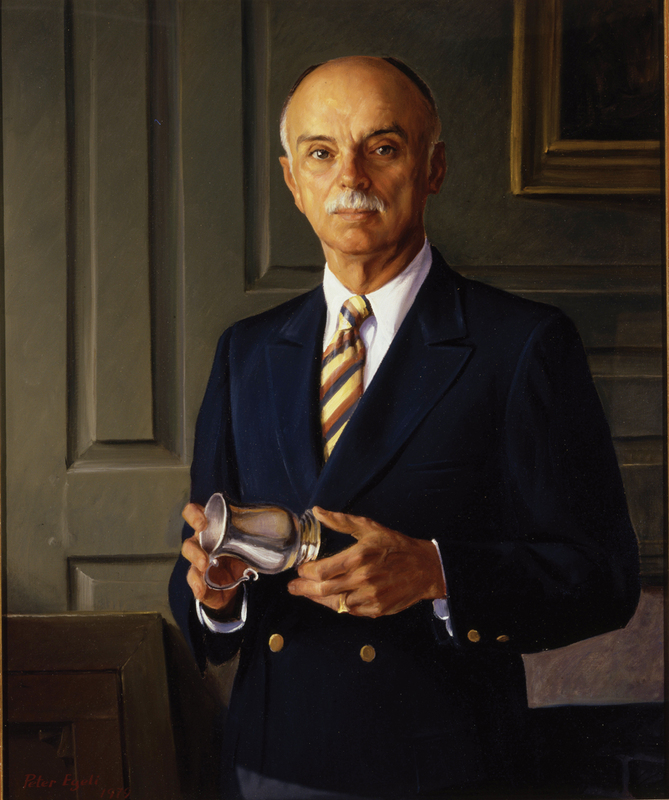 Since this was a loan show exhibit from Biggs, we recommend reaching out to Biggs directly regarding the portrait. Thank you.